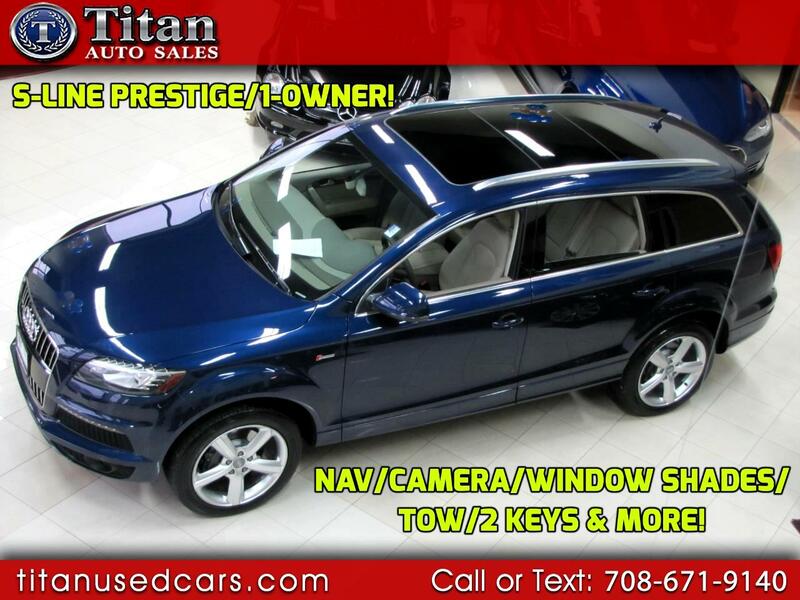 All-Wheel Drive traction, Panoramic Sunroof, Navigation, Back-up camera, Heated leather seats, 11-speaker surround sound system, Bluetooth with voice command, Satellite radio, Power liftgate, 20-inch 10 spoke V-desigh wheels, 10-way power drivers seat, dual-zone automatic climate control, heated leather seats, Power liftgate, Rear parking sensors, Turn signal indicator mirrors, spoiler, genuine wood trim, heated mirrors, 3rd row seating, keyless ignition, traction control, 4-wheel ABS brakes, rear wiper and a poweful 3.0L engine. Clean Carfax report and excellent service history. Buy with confidence from our AAA+ rated business. Come in and see why our Quality, Prices and Reputation can't be beat. Check out our hundreds of positive Google reviews.